WELCOMES YOU TO HORNET NATION! Click "Join Your Organization" at the top right corner. Provide your name, @hornets.hssu.edu email (@hssu.edu for staff), and set up a password. Check your inbox for the email and click on the activation link. Log out of your individual account https://auth.grammarly.com/logout_redirect. Go to https://www.grammarly.com/edu/signin and log in to your account again. Check your email (Inbox and spam folder) for a confirmation email and click the link inside. It will redirect you to the right page for the next step. To make sure you get the most out of Grammarly, we have some additional helpful features for Microsoft Word, Internet browsers, emails, and the desktop! You can install all components at https://app.grammarly.com/apps. Thank you for visiting http://www.hssu.edu. 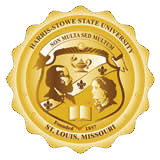 In order to ensure compliance with the Acceptable Use and Security Policies of Harris-Stowe State University and those of MORE Net, our Internet Service Provider, internet traffic on this site is monitored. Copyright (©) Harris-Stowe State University. Questions about this and other Web sites owned by Harris-Stowe State University may be directed to webmaster@hssu.edu. Click here to submit feedback or report errors.